Human resources management (HRM) is both an academic theory and a business practice that addresses the theoretical and practical techniques of managing a workforce. The theoretical discipline is based primarily on the assumption that employees are individuals with varying goals and needs, and as such should not be thought of as basic business resources, such as trucks and filing cabinets. The field takes a positive view of workers, assuming that virtually all wish to contribute to the enterprise productively, and that the main obstacles to their endeavors are lack of knowledge, insufficient training, and failures of process. 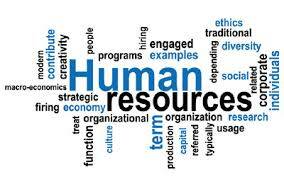 HR is seen by parishioners in the field as more innovative view of workplace management that the traditional approach. It’s techniques force the managers of an enterprise to express their goals with specificity so that they can be understood and undertaken by the workforce and to provide the resources needed for them to successfully accomplish their assignments. As such, HRM techniques, when properly practiced, are expressive of the goals and operating practices of the enterprise overall. Nowadays, the more traditional synonyms such as personnel management are often used in a more restricted sense to describe those activities that are necessary in the recruiting of a workforce, providing it’s members with payroll and benefits, and administrating their work-life needs. These activities can require regulatory knowledge and effort, and enterprises can benefit from the recruitment and development of personnel with these specific skills. The goal of Human Resources Management is to help an organization to meet strategic goals by attracting, and maintaining employees and also to manage them effectively. The basic premise of the academic theory of HRM is that humans are not machines; therefore it is needed to have an interdisciplinary examination of people in the work place. Fields such as psychology, industrial and organizational psychology, sociology, and critical theories; postmodernism, post-structuralism play a major role.